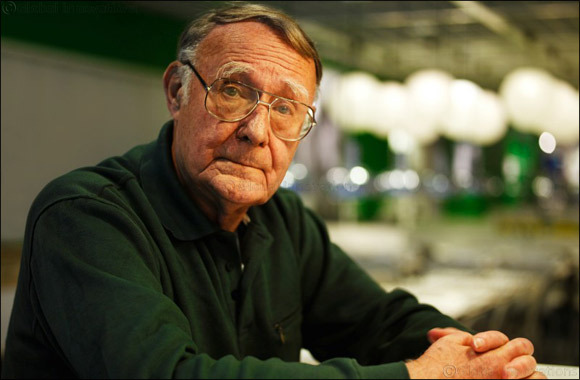 Dubai, UAE, January 29, 2018: The founder of IKEA and Ikano, and one of the greatest entrepreneurs of the 20th century, Ingvar Kamprad, has peacefully passed away, at his home in Småland, Sweden, on the 27th of January. Surrounded by his loved ones, he died at the age of 91, following a short illness. worked until the very end of his life, staying true to his own motto that most things remain to be done. “Ingvar’s extensive knowledge and engagement over the years have been a huge source of inspiration. His heritage is always with us and we will continue to constantly search for new and better ways – to find solutions that no one else has thought of and to do great things for the many people, together”, says Lars Thors�n, CEO of Ikano Group.